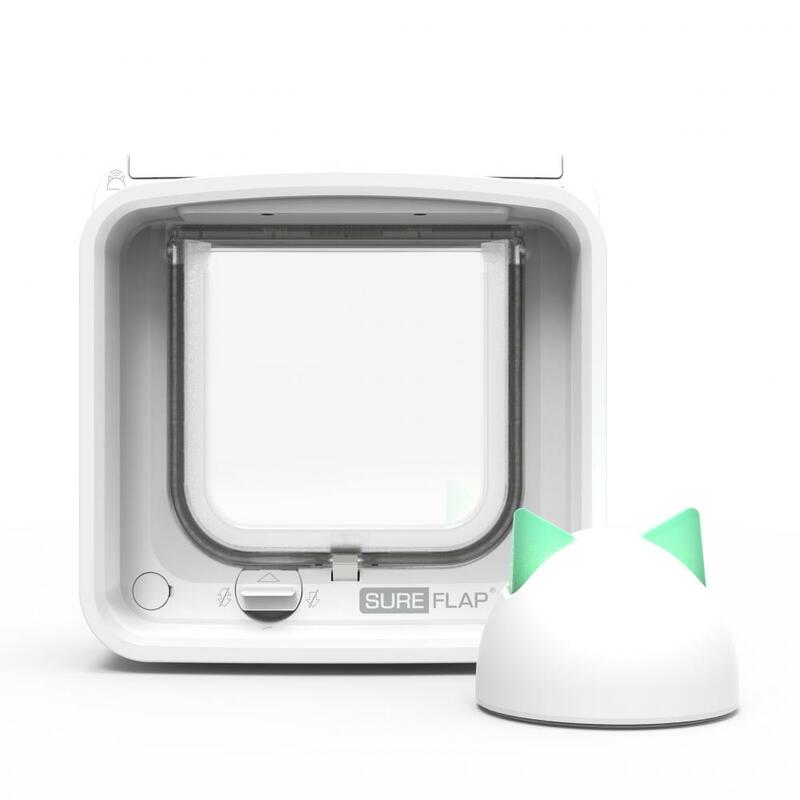 The SureFlap Microchip Cat Flap Connect enables you to stay connected to your cat from anywhere. The Hub links the cat flap to the Sure Petcare app, allowing you to track your cat’s movements in and out of the house and monitor any changes in behaviour, creating a greater connection with your cat and a deeper level of pet care. The Microchip Cat Flap Connect reads your cat’s microchip or collar tag to prevent intruder animals entering your home and its DualScanTM technology enables you to control which cats stay inside and which cats can leave. It’s the most advance cat flap… ever. Flap opening dimensions – 142mm (w) x 120mm (h) – The smallest area of the cat flap that your cat will have to enter. Glass mounting dimensions – a circular hole 212mm in diameter – this is the optimum hole size, but the cat flap can be installed in holes up to 260mm in diameter. A Cat Flap Mounting Adaptor is required for glass installations. There are currently no questions for SureFlap Microchip Cat Flap Connect - be the first to ask one!